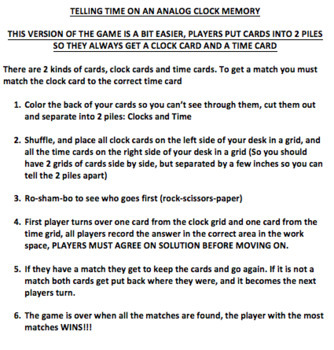 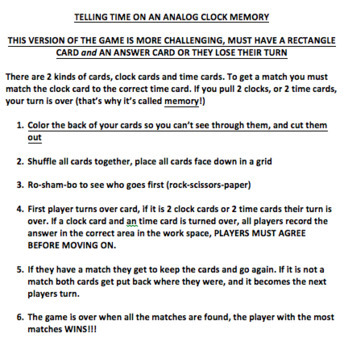 Your purchase comes with a set of cards (15 clocks, and 15 matching times), and 2 sets of directions that can make the game easier or harder to play. 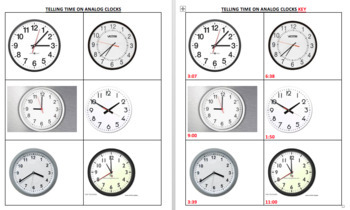 Your purchase comes with a workspace where scholars can record the times on the clocks as they turn them over, then they can hand in their workspace to be graded; the clocks on the workspace exactly match the clocks on the cards. 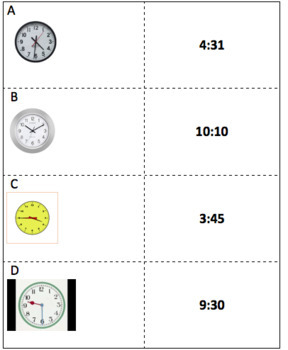 Your purchase also includes a quiz that we used as a pre-test and post-test.